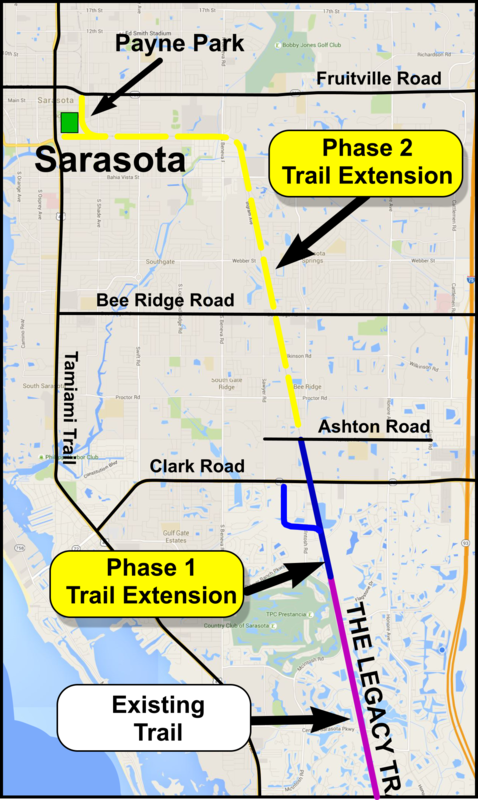 GRATITUDE for the County buying a nearly 3 mile segment of abandoned rail corridor from CSX Transportation, Inc. in December; and OPTIMISM for a planned County-wide voter referendum in November 2018 to buy the remaining rail corridor to downtown Sarasota, build a complete, paved trail with two overpasses and amenities, and help better connect North Port to the Legacy Trail. That gratitude was compounded with elation following news that FDOT had included $7.5M in a future budget to support the extension. FLT has now started its private fund raising “Square Foot” Campaign, raising over $24,000 in just a few weeks. All funds will be used exclusively for construction and amenities along the extension. We are hopeful that our partner local foundations will also find generous philanthropist willing to contribute substantial sums to the construction effort. We also believe that having purchased a segment of corridor, and having the remaining segment under contract, will now make us much more competitive for other state and federal funds. As all of this transpires, the trail becomes ever more popular. While final numbers aren’t available yet, we predict well over 200,000 annual trail uses for 2017, compared to 175,000 in 2016. 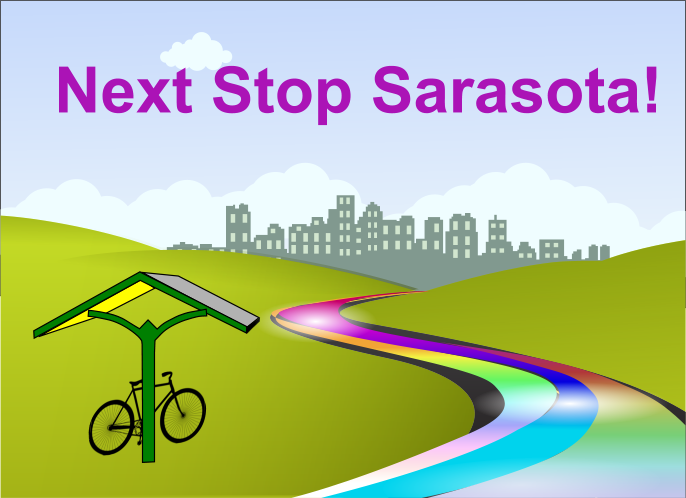 As we begin 2018, we are thrilled that there is a clear path to extend the Legacy Trail to downtown Sarasota, and create a better connection to it from North Port. 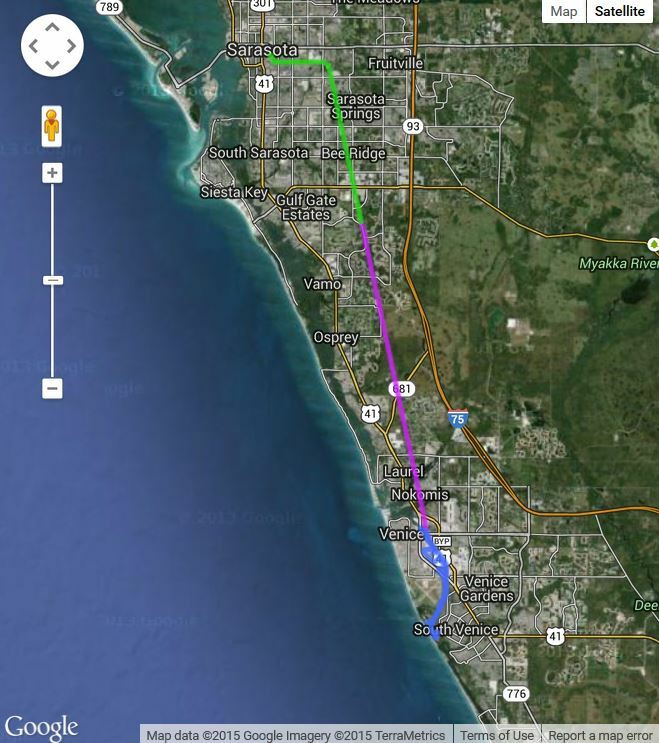 That path would link the two largest population centers of the county. AND, It can all happen in the matter of a relatively few short years. With the start of the new year, we have already begun expanding our advocacy efforts to prepare for the referendum next fall. We are holding information tables at Farmers Markets in North Port, Venice, Sarasota, Phillippi Creek. We are also exploring other high pedestrian volume opportunities to engage the public on the benefits of the extension. Break out the bubbly. Release the multi-colored balloons. Strike up the band. Welcome to the future addition to the Legacy Trail now reaching to Ashton Road! 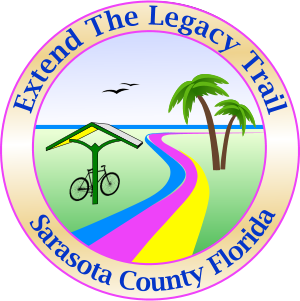 Friends of the Legacy Trail is thrilled to report that Sarasota County, with their partner the Trust for Public Land, yesterday completed the purchase of an approximate 3 mile (with spur) segment of the now officially abandoned rail corridor from CSX Transportation, Inc. Click here for the joint County/TPL press release. Yes, the Ashton Road segment of the Legacy Trail Extension may not be as gussied up as the current trail. Yes, it may not now be as smooth a surface, with the rails and ties still in place, and overgrown vegetation blocking portions. And yes, it’s just county property, not yet officially on the county books as part of the Legacy Trail. But all of that will surely come in time. • And a special note of gratitude to our 1,000 + FLT members, our hundreds of enthusiastic volunteers, the many business partners, our charitable partners the Conservation Foundation of the Gulf Coast, the Gulf Coast Community Foundation, the Community Foundation of Sarasota County, and the 10,000+ individuals who signed our petition supporting the extension. • Take a picture of yourself by the new sign we’ve posted at the end of the paved trail by Culverhouse Nature Park and send it to us at friends@friendsofthelegacytrail.org for posting on our social media and website. • Coming soon: sponsorship, commemorative contributions for benches, kiosks, shelters, as well as naming rights for portions or the entire trail. Up next is the planned November 2018 referendum. We will be talking about that in future mailings. But for now, buying the first segment of rail corridor is an immense win. 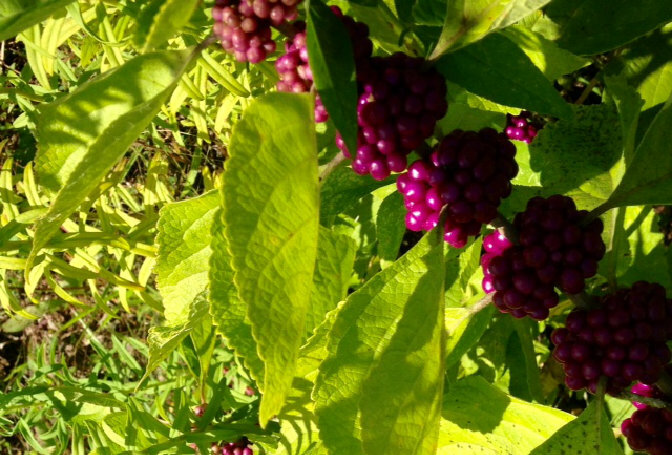 Let’s celebrate the REALITY that the Legacy Trail extension is happening….NOW. Ahhh, we are – so -very – close to extending the County citizens’ ownership of the unused rail corridor to reach Ashton Road! This represents Phase 1 of a two phase purchase of the corridor to Payne Park, with Phase 2 acquisition contingent on a 2018 County-wide voter referendum. November 30th marked the contractual end of the due diligence review by the County and their partner The Trust for Public Land (TPL) to acquire the 2.7-mile section of rail corridor (including a spur across McIntosh Road) between the northern end of the Legacy Trail at Culverhouse Nature Park, across Clark Road to Ashton Road. No significant issues emerged during the review. The next, and final milestone to acquire this portion of the corridor is settlement by 20 December 2017, at which time title of the property would transfer from CSX through TPL to the County in exchange for $7.9M back through TPL to CSX. The County had previously identified and committed the $7.9M, mostly by deferring other parkland acquisitions in FY-2017. We would expect the purchase to now be on autopilot. Well, not quite yet. The County is still grappling with $5.4M budget shortfall for FY-18 now underway, and the sale contract for the rail corridor provides a “non-appropriations” clause that allows the County to walk away from the agreement without penalty if it does not provide the funds. 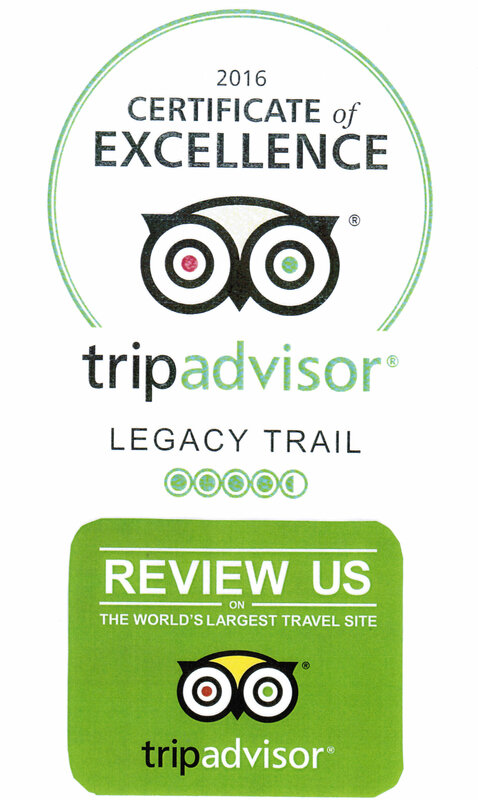 The Legacy Trail extension remains a top County priority. We remain optimistic that the County will follow through on its commitment and conclude this purchase, and we can prepare for the November 2018 referendum to acquire the remainder of the corridor to Payne Park and build the trail. 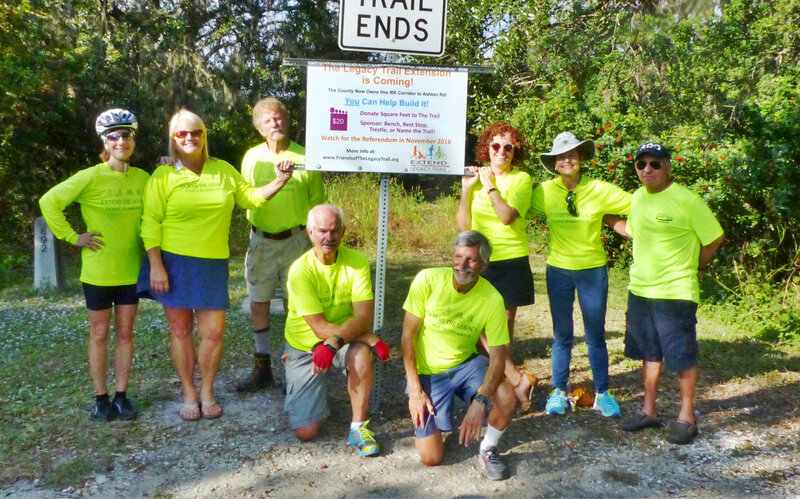 Legacy Trail supporters celebrated a major step forward to extend the trail to Payne Park in downtown Sarasota. On August 29th the Board of County Commissioners unanimously endorsed twin resolutions for a two-phased approach to acquire the approximate 7.5 mile unused rail corridor from CSX Railroad and to construct the trail. The resolutions authorize the County Administrator to proceed with the acquisition of the rail corridor. The resolutions come on the heels of the Trust for Public Land renegotiating the terms of an existing sale contract consistent with available County funds. Deputy County Administrator Jonathan Lewis, who will become County Administrator in January 2018 when current County Administrator Harmer departs to become city manager of Longboat Key, was a key participant in the final negotiations. The new contract retains nearly all the same terms, including a 14 percent discount to the appraised value of the corridor, but divides the cost with $7.9 million for Phase 1 due by December 2017 to purchase the 1.7 mile corridor to Ashton Road, and $30.1 million for Phase 2 due in 2019 for the remaining approximate 6 miles to Payne Park and Fruitville Road. The County had previously identified up to $8.6 million in its budget for Phase 1, with plans for a voter referendum in November 2018 to identify funds to pay for Phase 2. The Friends of the Legacy Trail thank the Commissioners for their continued unanimous support for the extension. We emphatically agree to the need to seek state, federal and private funds, and have been directly involved with past County efforts to do so. Those efforts have been stymied because the County did not own or even have the rail corridor under contract. We have also been working with local private foundations, and have developed our own extension campaign to raise private funds. We and our partners will be ready to launch a broad fund raising campaign to support the extension once the county completes acquisition of Phase 1 in December. We are committed to help marshal public support for the November voter referendum. 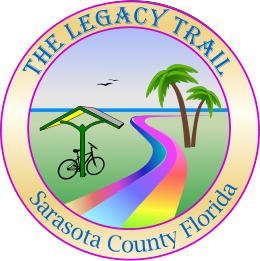 In the meantime, all Legacy Trail enthusiasts can savor another victory in the goal to extend the Legacy Trail to downtown Sarasota. The $8.6 million identified so far by the County is well short of the $20 million required by December 2017, as negotiated for the first acquisition phase. It also appears increasingly unlikely that the rest of the $20 million will be secured in time. 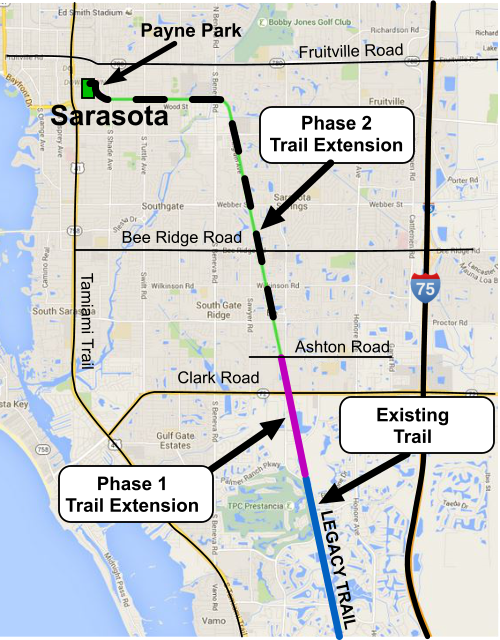 So the question to extend the Legacy Trail to Payne Park in downtown Sarasota becomes: Is $8.6 million enough for the parties to renegotiate and CSX to sell a shorter than planned segment of their unused rail corridor to Sarasota County? The parties must quickly decide whether or not to proceed as the County and the Trust for Public Land need about six months to conduct their due diligence review of the property before the planned December purchase. TPL, partnering with the County, came to terms to acquire the 7.5 mile long corridor and spurs from owner CSX and their lessee, Seminole Gulf Railroad, in February 2017 for $38 million. That amount was split into two phases: Phase 1 from Culverhouse Nature Park to Bahia Vista for $20 million by December 2017; Phase 2 to Payne Park for $18 million by March 2019. The due diligence includes conducting a hazardous materials environmental assessment, title search, and boundary survey. Despite the Board of County Commissioners (BCC) directing the County Administrator to begin efforts to acquire the corridor in April 2015, no funding was included in the County budget to support the purchase. The BCC began in mid February 2017 to grapple with funding options, and in mid March reprioritized $8.6 million in existing and expected 2018 County Parkland acquisition funds to apply towards buying the unused rail corridor. However subsequent BCC meetings have identified no further funds. While there are still a number of planned BCC budget meetings before the start of FY-18 on October 1st, there appear to be few attractive opportunities for marshaling substantial more funds for the extension. 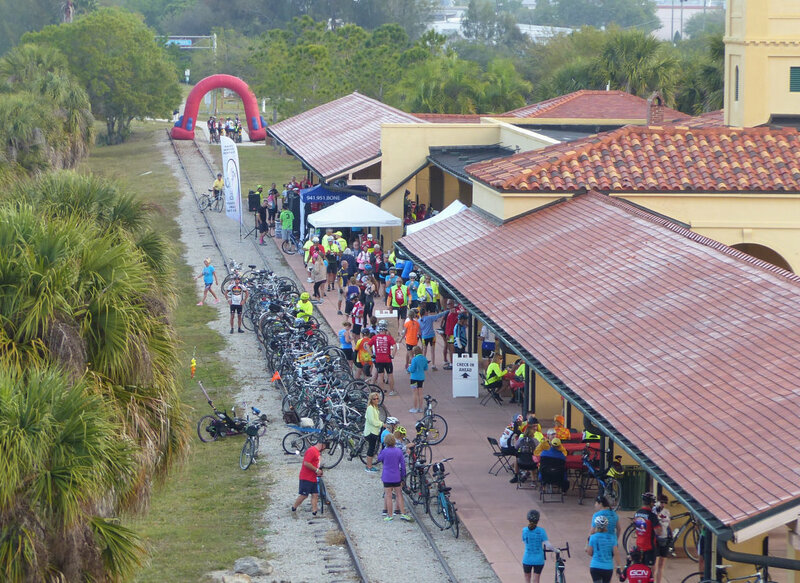 The BCC has discussed tax increases on utility services and the county millage rate, both already at or near the lowest rates among Florida counties, to fund new initiatives including extending the Legacy Trail. But even if enacted, revenue would not be received in time to be included in the December payment to CSX. Bonding for the December payment is no longer an option, as the County attorney has ruled that bonding on the phase 1 acquisition would preclude the option to bond again for the second acquisition phase. 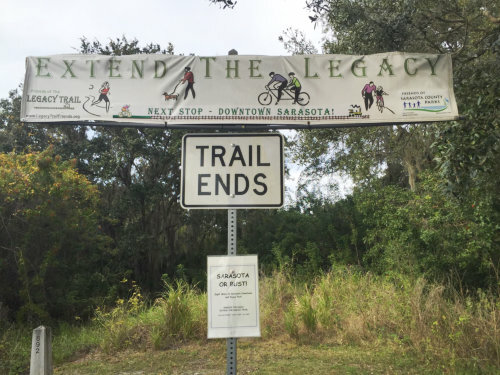 Representative Joe Gruter’s bill in Tallahassee to provide $15 million for the Legacy Trail failed to garner support from this year’s State Legislature. Efforts by several local foundations to quietly pursue private donations from wealthy trail supporters remains a work in progress. An Operating agreement between the County and The Friends of Legacy Trail which includes fundraising authority remains in review by the County staff, and must still be approved by the BCC. We hope the parties agree to promptly and equitably revise the sale terms to acquire $8.6 million worth of the extension, and the County and TPL proceed with its due diligence to meet the December planned settlement. We remain firm in our conviction that other governmental and private funds will materialize AFTER the County owns some segment of the extension. 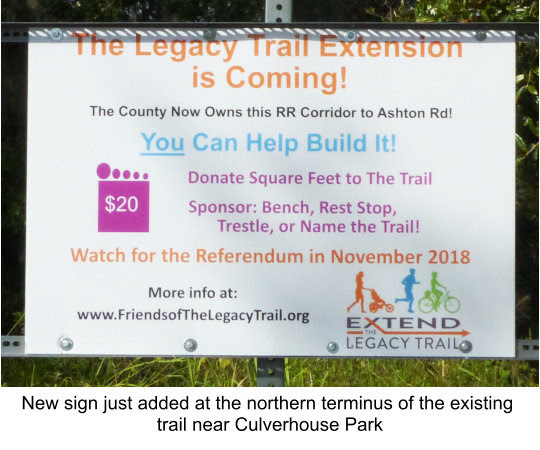 The Friends of the Legacy Trail are developing and, once acquired, will be ready to launch a number of fund raising and promotional efforts to support the extension. A possible November 2018 voter referendum could provide the balance of land acquisition and construction funds. To the delight of Legacy Trail supporters, County Commissioners committed $8.6 million to buy the land for a 7.5 mile trail extension. No previous funds had been identified. It was the first visible step in turning vision to reality for extending the existing 10.6 mile trail along an unused rail corridor into a multi-use paved path to Payne Park. 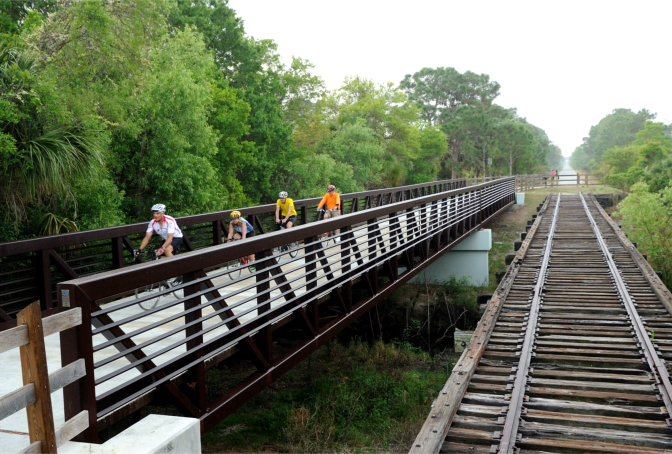 Once built, the 175,000 annual users could quickly double as the trail reaches the urban core of the City of Sarasota. The County Commissioners identified the funds during a March 29th day-long budget review session to align funds with established priorities for the County’s FY 2018 program. As Commissioner Hines noted, “The Legacy Trail is a big picture effort with broad county, public and private support. It is a priority, so we have to start building a pot of funds for it.” This was the second of six planned monthly budget meetings before the start of the new fiscal year which begins on October 1, 2017. County Commissioners decided to use $0.9 million in available mobility fees, eliminate two lower priority proposed park purchases in the County’s Neighborhood Parkland Program ($2.6 million to acquire the Myakka River Oyster Bar site and $4.0 million for the Vamo Drive site) and commit up to $1.5 million in expected new revenue coming into the program at the beginning of FY-18 and apply these assets towards the purchase of the corridor. While enthusiasm ruled the day, the County must still identify another $11.4 million by this December to meet the terms of the $20 million, Phase 1 sale contract negotiated by its partner the Trust for Public Land with corridor owner CSX Corporation. This first increment would purchase the rail corridor from the northern end of the trail at Culverhouse Nature Park to Bahia Vista. We hope the next several budget workshops will identify the remaining $11.4 million funds consistent with the Phase 1 terms. Phase 2 requires another $18M no later than March 2019 to bring the trail from Bahia Vista to Payne Park and Fruitville Road. The County estimates the total land acquisition and construction cost at $56 to $60 million. 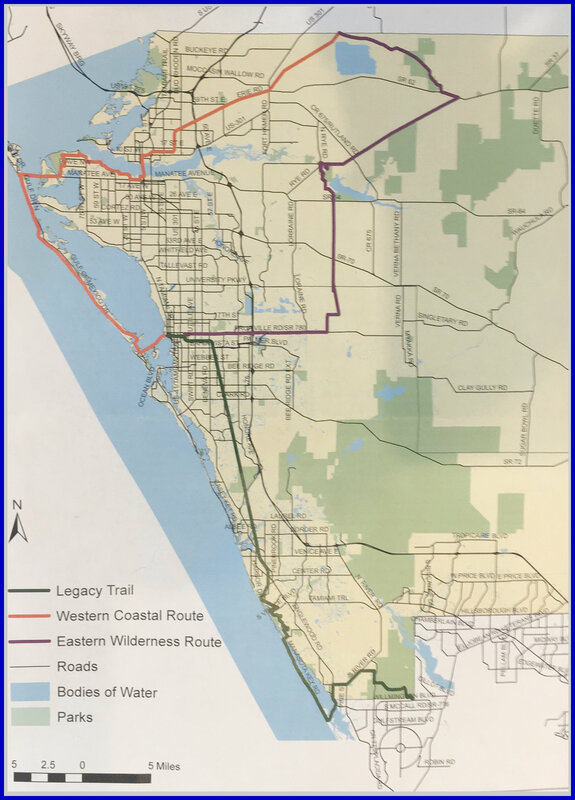 The fate of the State Representative Gruters HB 2109 bill now in the Florida Legislature to provide $15 million for the Legacy Trail remains uncertain. However, the $8.6 million signals the County’s commitment to extend the Legacy Trail, and will certainly buttress efforts already underway to attract other public and private funds. We commend the County staff and Commissioners for making this substantial initial commitment for the Legacy Trail.